Suzuki Wagon R 2018 All Set to Arrive With Expensive Price Tag. Pak Suzuki has confirmed the arrival of new Suzuki Wagon R. The new Suzuki Wagon R 2018 will be the VXL model and comes with few changes. Even though the new Suzuki Wagon R VXL model will come with minor upgradation but the company will sold it with the high price tag. Suzuki had introduced the 1st Generation Wagon R in 2014 and the upgrade version is now going to hit Pakistani roads soon. 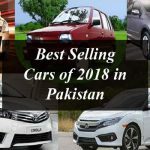 The 1st Generation Wagon R is a front engine front wheel drive hatchback and features brand new Suzuki K-Series engine that is more efficient and quieter than other engines available in Pak Suzuki’s range of vehicles. Now Pak Suzuki has revealed that the new Suzuki Wagon R VXL model will come with new upgrades including the alloy wheels and chromed tail garnishing. The above-mentioned upgrades that Suzuki Wagon R 2018 is described as “Wagon R Minor Change” but the company has increased its price up to Rs. 50,000. 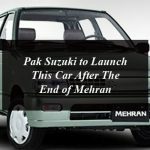 We earlier reported you that Pak Suzuki has stopped to take pre-orders for the Wagon R. The company has forbidden its dealerships to take further bookings of Suzuki Wagon R.
Pak Suzuki had also issued the notification to its dealers revealed that they are no more allowed to take orders for the Wagon R starting from 1st February, 2018. The company had not revealed the reason behind this but now it’s clear that all new Suzuki Wagon R 2018 on its way. As we told you that the new Suzuki Wagon R 2018 is coming with minor changes that are just decorative in nature but the new VXL model or Wagon R will be sold for up to Rs. 11,64,000 which was earlier Rs. 11,14,000. Suzuki Wagon R 2018 All Set to Arrive With Expensive Price Tag. Pak Suzuki has confirmed the arrival of new Suzuki Wagon R.